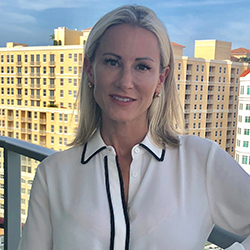 Lisa is an accomplished real estate investor, broker and general contractor with her primary focus in the downtown West Palm Beach area. For the last 17 years she was President of David Associates, a leader in downtown commercial real estate, who’s portfolio has always included numerous downtown properties. She retired earlier this year to be a stay at home Mom and continues to actively consult for David Associates. She is a downtown resident and her children go to school in downtown at St Ann Catholic School.